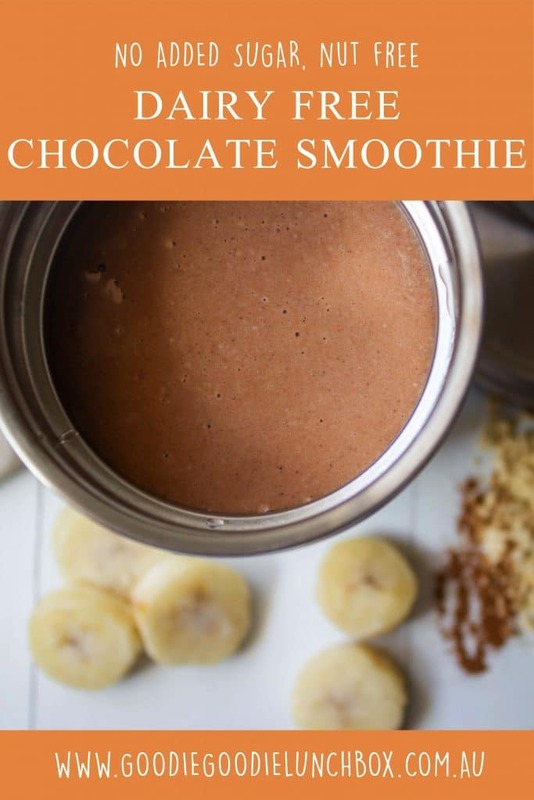 This blog post Dairy Free Chocolate Smoothie contains an affiliate link and code. If you decide to purchase using my link or code I will earn a small commission at no additional cost to you. I get a lot of inspiration for the recipes I develop from what I have seen at the supermarket or what I have tried at cafés or restaurants. And these Dairy Free Chocolate Smoothies were developed after I had them in this great little café when we were holidaying with family in Waihi, New Zealand last summer. Truth be told I was nursing a wee bit of a hangover and I really really needed something to drink. Stat. So when I spied these delicious vegan Chocolate Smoothies on the menu I could have cried. The flavour combination of chocolate, banana and cinnamon sounded gorgeous. And it was. And I knew I needed to make my own variation as soon as I was home and near my blender. 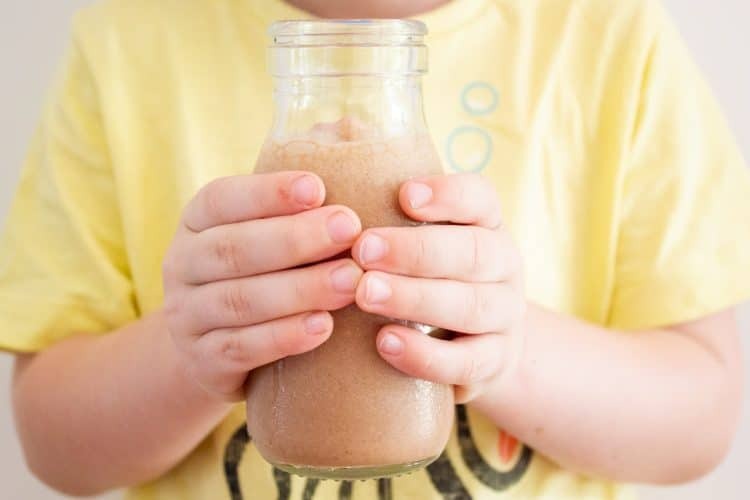 The kids love getting their chocolate milk but there’s no added sugar in this delicious Dairy Free Chocolate Smoothie. The smoothie is naturally sweetened from the banana and cinnamon. So this smoothie is something that feels much more like a treat than it actually is. The frozen banana means it’s deliciously ice cold. When I see my bananas are overripe I normally chop them up and pop them in the freezer in zip lock bags so I always have them on hand to make smoothies or for baking. This Dairy Free Smoothie is great for these hot summer days that we are having. 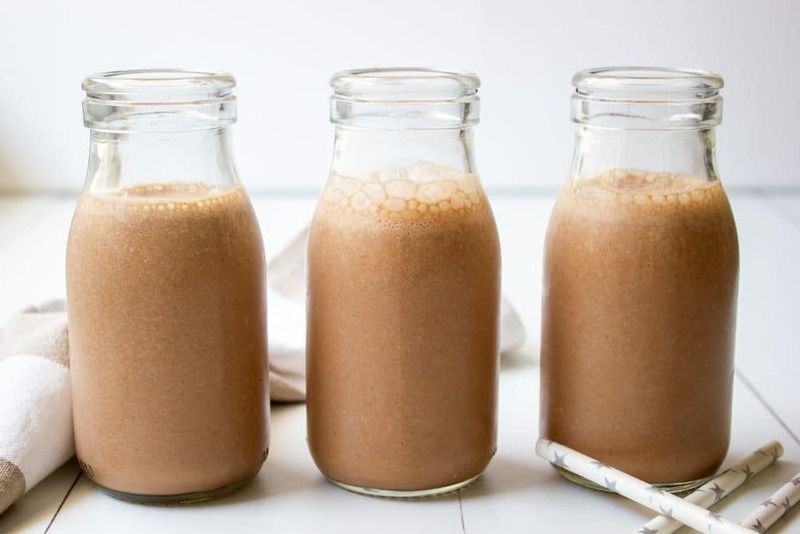 I often serve these Dairy Free Chocolate Smoothies along with lunch as when it gets really hot I notice that my kids aren’t wanting to eat as much. 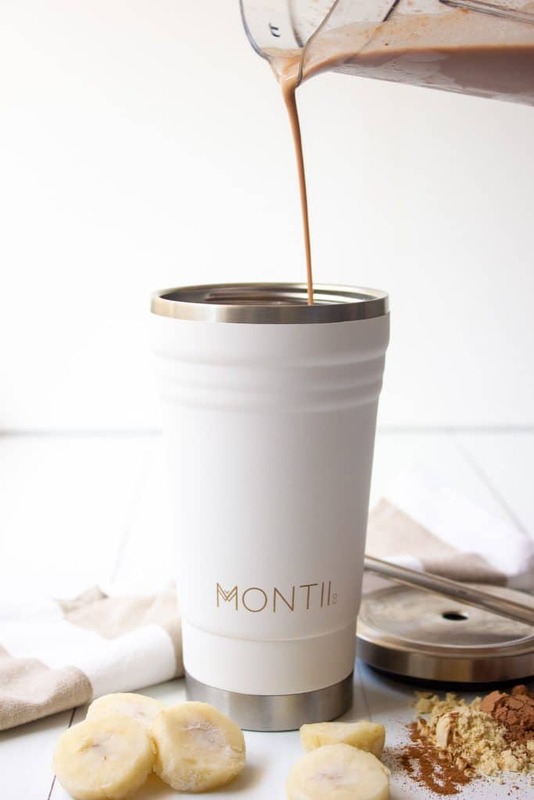 I also love making this smoothie and taking it to work to have for my breakfast in my insulated smoothie cup from MontiiCo. If you would love to get your hands on these use my code GOODIE for 10% off your order. If you love snacks with no added sugar try my delicious Mango Banana Nice Cream or my Healthy Banana Bread. 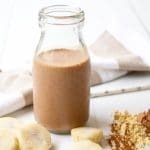 Nut free and vegan with no added sugar, this delicious Dairy Free Chocolate Smoothie is so refreshing for a snack or breakfast on a hot summers day. 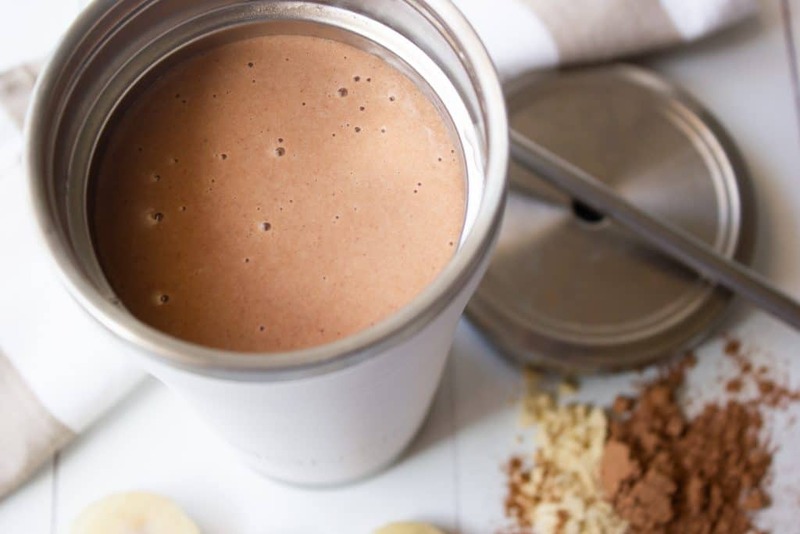 I hope you find this Dairy Free Chocolate Smoothie as delicious as my family do! Remember if you make them to share a pic with me over on Instagram or Facebook.